>>> in iran tonight, two american hikers convicted of spying are facing yet another delay in their fight for freedom. nbc's tehran bureau chief ali arouzi is in iran tonight and has the latest. >> reporter: good evening, lester. 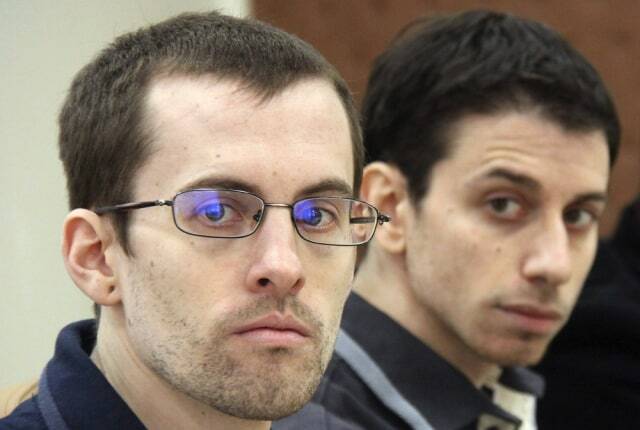 shane bauer and josh fattal have to wait longer for their freedom. in the latest twist, the iranian foreign minister entered negotiations and said the judiciary may be willing to commute their sentences in the near future as a sign of islamic compassion. but he also raised the issue of iranians being held in u.s. prisons, suggesting a possible prisoner swap. earlier today, the lawyer for the two hikers told nbc news that he tried to finalize the bail arrangement for the two hikers, but was unable to do so because the second judge that needed to sign the documents was going to be on vacation until tuesday. president ahmadinejad had hoped to resolve this issue before traveling to new york tomorrow and addressing the general assembly later in the week. no doubt we'll hear more about this case in the coming days. back to you, lester. >> ali arouzi from tehran tonight.